I probably need to sign up to a stationery addicts anonymous group, but hey, a new school year is starting and if that isn’t the best reason to go a little bit extra in the notebook department, then I don’t know what is. If you’re going to university for the first time, knowing how much you need to take in the way of paper can be a bit of an uncharted ball park. Also the amount of file storage. If you know that writing things over and over and over again is a way that you learn well, or you’re going to study a language, then you’re probably going to be using a lot of paper. But uni is all about finding what works for you, so it’s good to have a basis to work from and change it to fit your needs. 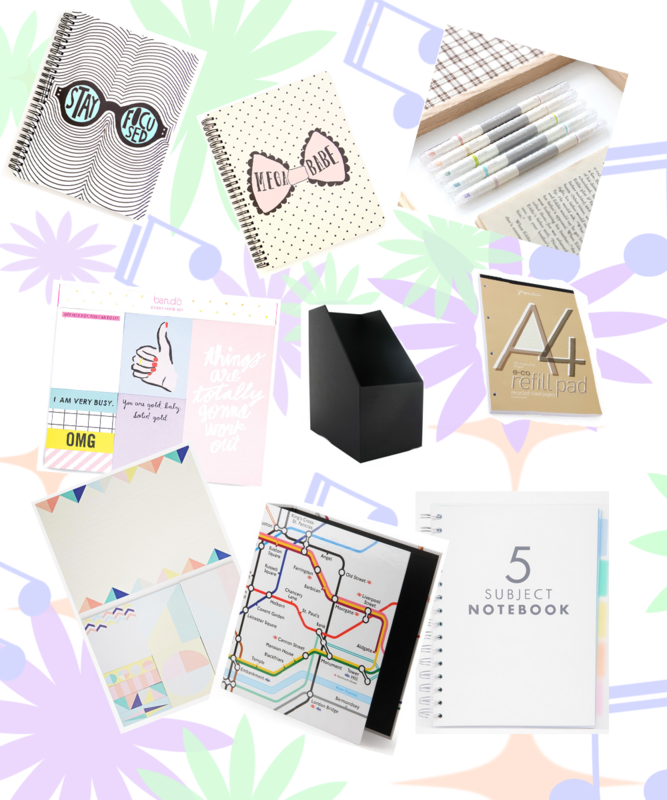 Though I’m all for sharing, so here’s my uni stationery wishlist (and generally the amount of stationery related items that I take to uni initially). notebooks! great place to write your notes down in, as well as all those plans to take over the world. depending on your preferences, you could have a notebook for all your modules during one term, or one notebook for each. I use one notebook a term. yeah you could go with the more universal yellow post its (or any of their variations) but I find these stickers sets endlessly cute. And motivational. What’s better than motivational stickers to pop in your notes? pens for me are a really personal thing. I have the ones that I love to write with, and a definite preference for blue ink and pastel things. I also find I study a lot better if my notes are pretty to look at – and easy to read. if you have a lot of things going on that fall into the same category (like, society stuff), then a project book is a really good idea to keep on top of all the things that relate. you really don’t want your notes lying about all over the place, so it’s a good idea to get a lever arch file. or 3.
these are brilliant for storing smaller folders or bits of information that you still need but don’t want to banish to a lever arch file. they also look really pretty on shelves. but we’re in this for the organisational reasons. prepare to go through a lot of paper. refil pads will become your best friends for writing up your notes (fyi, it’s a good idea to write up your notes). I bring 2 or 3 with me to uni at the start of term so that I don’t have to do the inevitable trip to and from whichever stationery store is closest to restock. What are your stationery essentials? Any that I’ve missed out? The Huge Announcement: I am moving! "recently – seoul street fashion"
"(how to deal with) Mean Girls"
I absolutely love getting new stationery! Great tips, especially since this is my first year buying my own stationery to school. 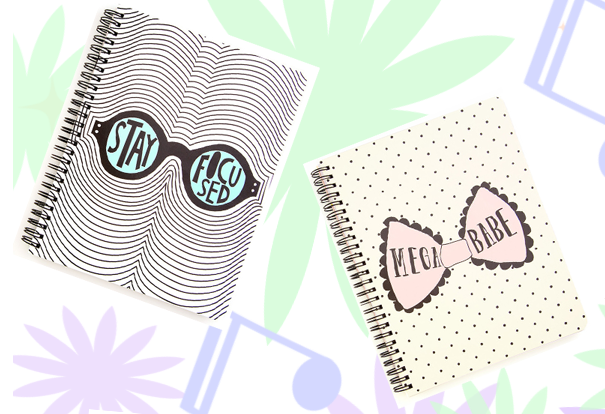 Love the stay focused notebook, could definitely need that one.